The Jacques Denis Millesime 1994 Grande Champagne Cognac is, as it's name gives away, a Grande Champagne delight from the harvest of 1994. The house of Jacques Denis has a long tradition, and prides itself in creating a small range of high quality cognacs - and this is one of them. At 47%, this powerful vintage cognac combines strength with roundness, complexity with flavour - in other words, it takes the taster on a journey of the senses, culminating in a long, ultimately satisfying finish. The cognac is presented in a traditional style bottle within a wooden presentation case. The label provides details of the cognac, making it ideal to purchase as a gift for the cognac lover. 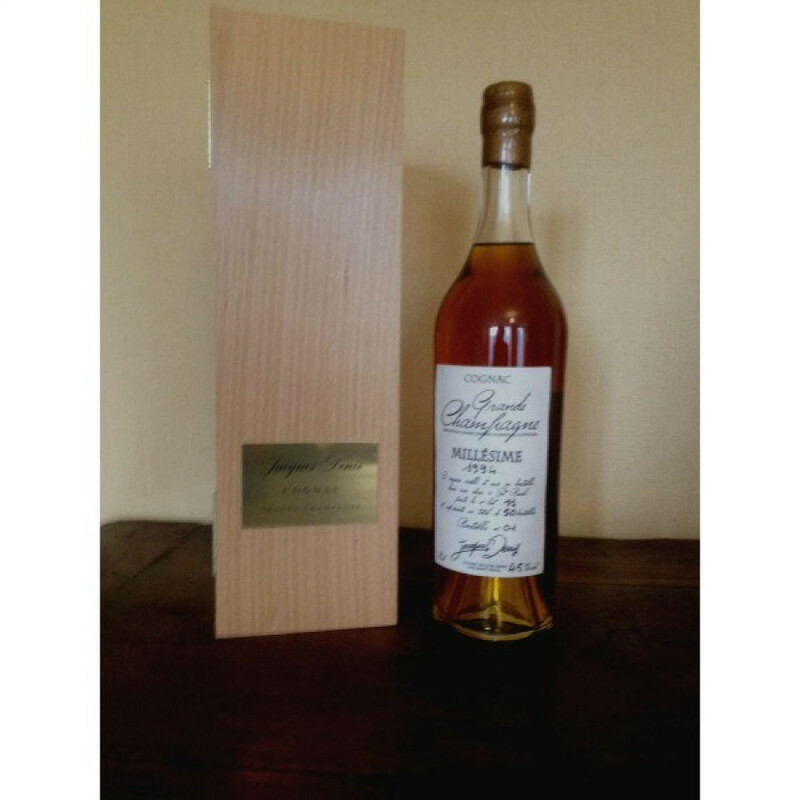 In addition, for a cognac of this quality, it represents exceptional value for money.